This wonderful wedding photo of the bride and groom looking through foliage was taken by Michael Saab at the beautiful Konoko Falls in Ocho Rios Jamaica. Saab Weddings has one of the best wedding photography team in Montego Bay Ocho Rios Negril Jamaica. 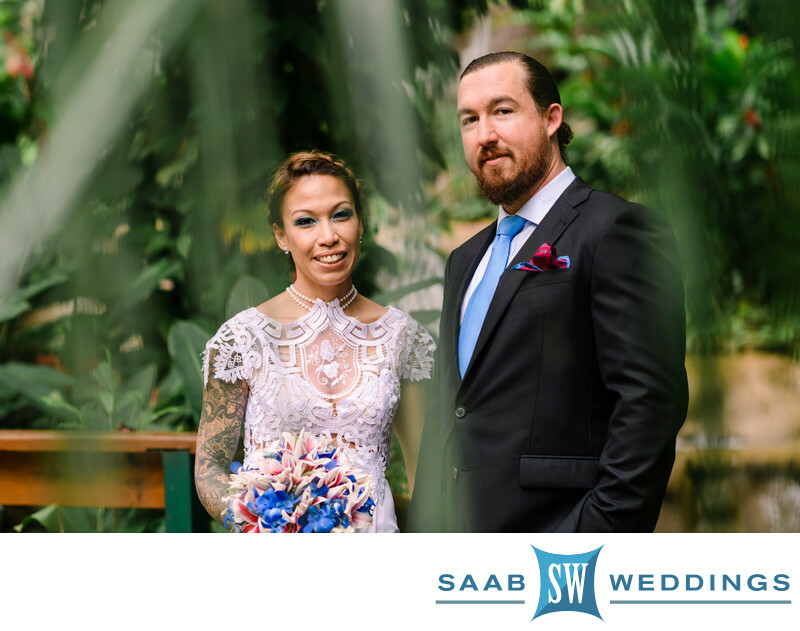 The Saab Weddings team uses modern equipment and modern techniques to capture eye-catching images of your wedding that you will hold dear for many generations. Location: Konoko Falls Ocho Rios Jamaica.